That will be a sight and a half and hopefully one day it will come down to the Westcountry. If you want the full size pic(20mp) I can put it on a download link later for you. Yes that would be very welcomed Kymmy. Depends how you look at it.. It shows the modern with the old. Thank you. It's the last in a series of 4. Hi-res for anyone on request for personal use only. NR are in the middle of a national project to update the electrification control system which will result in a more modern system. Yes l felt so sorry for him l have to admit. 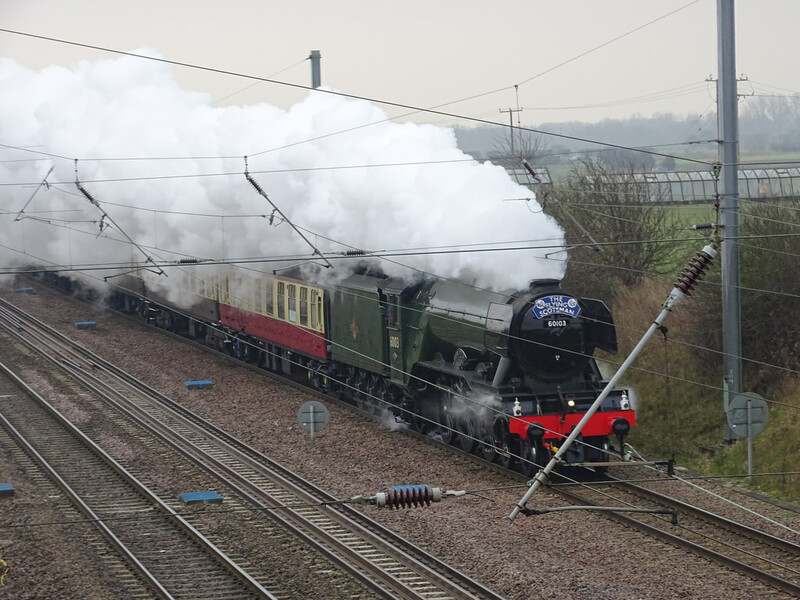 IIRC did BR not increase the spacing between the pylons in order to save money when it electrified the ECML, thereby increasing the risk of cable breakage and limiting the prospects for future high speed services? I tend to work in the control centres and switch rooms, I would have to defer that to our OLE design team. Sounds entirely plausible though given that a big issue was signal sighting at high speed, thus limiting the anticipated line speed. Hence designing the OLE for a higher speed probably wasn't seen as cost effective or necessary. TRAIN buffs are getting excited about a secret railway that ran under Londoners’ feet for almost 100 years, with its tunnels running within a few feet of packed underground lines, is back up and running. Snaking 70 feet below the ground, from Paddington to Whitechapel, the train moved tons of letters and packages across the city, has hid priceless art and was even a Hollywood film set. Also known as the “mail train” – this is the first time since the service was abandoned more than 10 years ago that trains have been on the tracks. The intention is to open a looping mile of track to the public as a heritage site. A test drive was carried out by engineers through a section of the mail rail track, ahead of its public opening next summer. Yes l have heard about this old bean and hopefully in time it would be nice to visit in time.